Big day, lot to do — have to write, write, write! — and listen to this over and over again. So let’s pull a couple of letters out of the hopper to see what’s what. I like your books a lot. It is very fun to read. 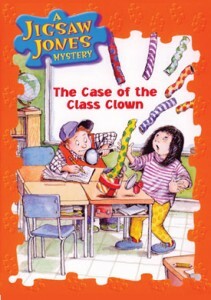 My favorite book from you is The Case of the Class Clown. It is my favorite because it has a lot of cool stuff. I am writing to you because you have fantastic books. How do you get your ideas? How do you make a book? Is it fun to be an author? Do you have to show someone your books to get it published and for you to be famous? I really want all your books because they are good. I would love for you to write back. Thank you for your wonderful letter. It came on the perfect day, right when I needed it. I’m glad that you think there’s “cool stuff” in my book. I try to jam in as much cool stuff as possible, actually. Hey, I have exciting news about the Class Clown — it’s been turned into a musical by the ArtsPower Touring Company! Can you imagine that? Jigsaw Jones and Mila, singing on stage, and solving mysteries, too! You asked a lot of great questions, so let’s get to ’em. 2) When it comes to creating a book, the author is just one piece of the puzzle. It’s a team effort, including editors, artists, art directors, printers, truck drivers, and more. In terms of the writing, it all starts in a quiet room, when a writer sits down determined to DO IT. 3) Is it fun? Sometimes, not always. But on days when I get letters like yours, Ritik, it is definitely rewarding. 4) Most books are produced by a publisher, a company that makes books. Writers from all over will usually send them manuscripts — typed versions of the story on plain white paper — and the publishers will read them all to select their favorites. Only a very few manuscripts get made into books. So I’ve been very, very lucky. Thanks for reading my books, and for writing to me! You are one of my favorite authors! I am nine years old and in fourth grade. I have one brother and one sister. I have always wanted your autograph! I was wondering if it was fine with you if I sent you a piece of paper in the mail for you to sign. It’s OK if you don’t want to. Sure, happy to sign whatever you send me. 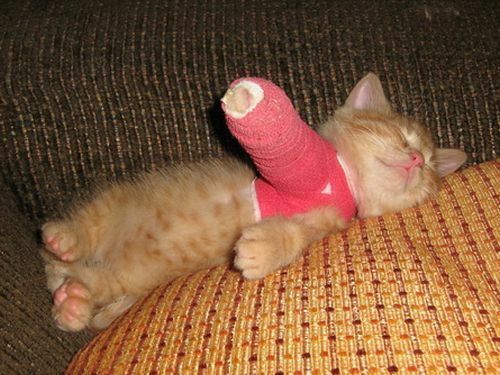 Here’s an idea: You could break a leg and show up at my house wearing a cast — I could sign that! On second thought, probably not a great idea. You could include a book, maybe? A napkin? Whatever! Warning: I have the worst handwriting, a lefty scribble. I should have practiced as a kid, but I had no idea that anybody would ever want my autograph. It still shocks me when people ask for it. My autograph? Really? Is this some kind of mistake? Do you think I’m Lois Lowry? I would very much appreciate it if you included an SASE. Do you know what that is? It’s an acronym for “Self-Addressed, Stamped Envelope.” It’s an old courtesy that seems to have been largely forgotten these days (grumble, grumble). That way, it doesn’t cost me extra money to answer your letter. Unfortunately, the expense of stamps and envelopes adds up. I wish I say that the money was nothing to me, that I had a spare room full of cash, but, alas, it’s not so. That would be the other author: Rowling, J.K.
My address: 12 Brookside Drive, Delmar, NY, 12054. Many thanks for reading my books.